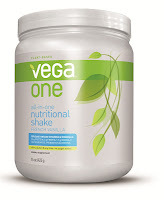 Congrats to Lizzie, Rian, and Sonia for winning the Vega One Giveaway! And thanks to everyone else who entered! I enjoyed hearing about what all of you eat for breakfast. Breakfast really is the most important meal of the day which is why it's important to eat/drink something that is nutrient-packed. Even if you didn't win, you can still buy Vega One - French Vanilla on Amazon here. I was hoping you would comment on the breakfast choices. Mine was much less involved than most. I have heard one small cup of a coffee a day is good for you (whether you are starting the day at the office or going for a run). I honestly haven't figured out the "prefect" breakfast. I especially struggle with figuring out what to eat before working out. I don't have enough energy if I don't eat something. There is a lot of conflicting information about coffee and caffeine. On one hand, coffee is very acidic making it harmful to the body and thus increasing risk of disease (including cancer). On the other hand, caffeine can have positive effects on your workout and overall day. However, when you drink caffeine, you're really "borrowing" energy that you don't have and you eventually crash. So, I've tried to limit my coffee and caffeine intake only to when I need it. Also, in my opinion, drinking tea with antioxidants (like green tea) may counter the negative effects of caffeine. So I drink much more tea than coffee.